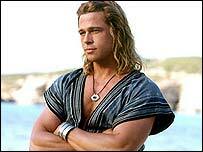 The British Museum has announced plans to stage an exhibition to tie-in with the summer blockbuster Troy. Discover Troy, which opens on 12 May at the museum in central London, will feature weapons from the Greek Bronze Age, alongside Greek vases and plaques. Five costumes from the film, as worn by stars like Brad Pitt and Peter O'Toole will also be on display. The film, which is based on Homer's epic tale, is released in the US on 14 May and in the UK on 21 May. 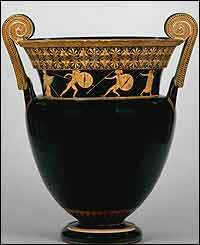 The Discover Troy exhibition forms part of the British Museum's Greek Summer programme. Troy Day, on 19 June, will explore the making of Wolfgang Petersen's film with a speech by his son Daniel Petersen, who has followed the production since its inception. Director Petersen is best known for films like Air Force One, The Perfect Storm and Das Boot, which launched his international career in 1981. Taking its lead from the success of Gladiator, Troy is the first in a series of epics destined for the big screen including Oliver Stone's Alexander and Ridley Scott's Kingdom of Heaven. It is rumoured to have cost over $200m (£112m) and sees newcomer Diane Kruger (Helen), acting alongside heavyweight stars like Pitt, Brian Cox, Orlando Bloom and The Hulk's Eric Bana.